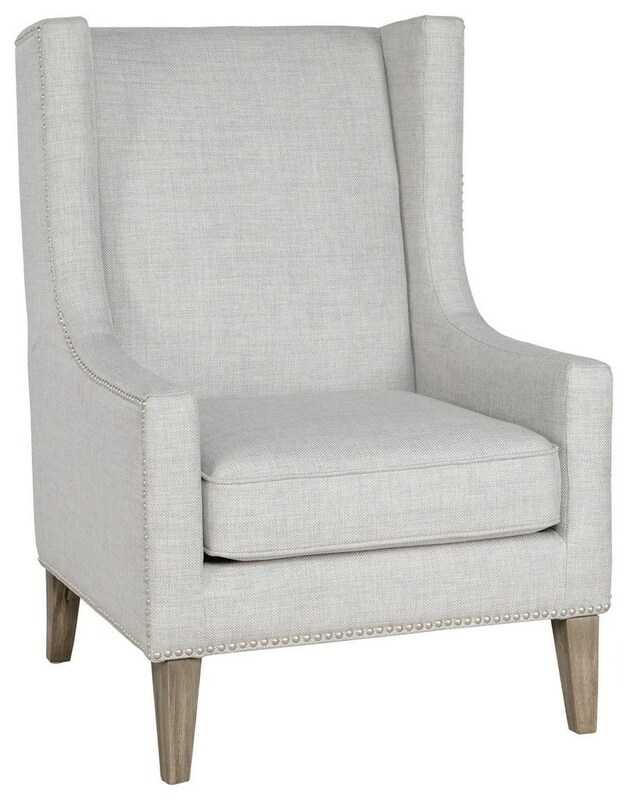 Erie Club Chair is upholstered in a soft and durable polyester fabric. Accent details include piping along the seat and nail head trim along the edges. Erie’s simplified take on the classic wingback make it perfect for modern and classic interiors alike. Solid wood legs complete the look of the chair and provide sturdy support. The Erie Erie Gray Club Chair by Classic Home/Villa Home Collection at Great American Home Store in the Memphis, TN, Southaven, MS area. Product availability may vary. Contact us for the most current availability on this product. Browse other items in the Erie collection from Great American Home Store in the Memphis, TN, Southaven, MS area.